The key to good health! Breakfast is composed of two words, break and fast i.e. breaking the fasting period of the prior night. 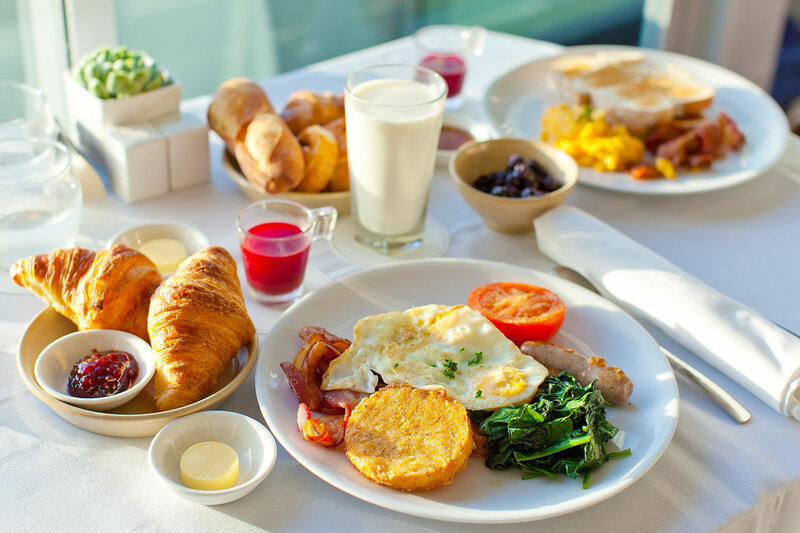 Breakfast foods vary widely from place to place, but often include carbohydrate-rich foods such as cereals, protein-rich foods such as eggs, fish and a beverage such as tea, coffee, milk or fruit juice. Breakfast is considered as the most important meal of the day, as studies have proved that having a breakfast lowers risk of metabolic disorders and cardiovascular diseases. Eating a nutritious breakfast sets tone of the body and at the same time, also promotes maintenance of body metabolism. not only provides you energy for the whole day but also keeps you full till the mid-half of the day as it is the most satiating meal of the day, thus keeping one away from indulging in junk or some other kind of unhealthy food. low. To make up for that, you need to have a hearty breakfast. Skipping breakfast increases stress levels and gives rise to mood swings. which needs its daily dosage of fuel. Last, but certainly not the least, never ever think that you…yes you girls and boys will ever lose weight by avoiding or skipping breakfast, as then you will binge on junk food or a sweet savory which will of course, not do anything good. Grab a fruit if in any hurry. A glass of milk with a teaspoon of honey is also nice. little fat is really necessary. And as far as our Indian ways of eating breakfast are concerned, we have a whole lot of variety for breakfast; from aloo-puri of UP to sambhar-idli of Tamil Nadu and Kerala to dhokla of Gujarat to chole-bhature of Punjab. We know that its mouth-watering but can’t help. So go on and gorge on your first meal of the day i.e. breakfast. Glitter Eyelashes - This new Eye Makeup Trend will make you gasp!